Kensington Palace and Hyde Park are within both walking distance, while the popular venues of Earl's Court and Olympia are close by too. The Thames river also offers some great riverside pubs, all within a five minute walk of the hotel. 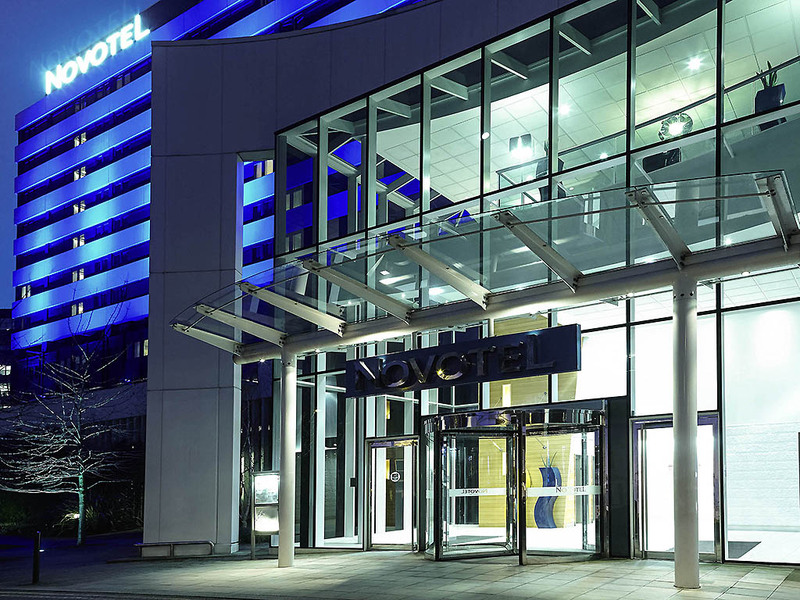 The Novotel London West has excellent meeting and event facilities, and is able to accommodate events from 1,000 person conventions to wedding banquets. I received more than I expected. Еxtremely polite and responsive staff especially gest relation officer ALICJA. I mean, thank you very much. Еxcellent location, close to subway, shops and иеяшькиьхшял Great value for money. Thank you so much for your lovely comments. I am happy that you enjoyed your stay with us. Hoping to welcome you back in the future once again. A clean and comfortable hotel stay. Would like to come back after the construction is done. The room was very nice & the breakfast was a good standard. The family room only had two small bath towels, for four people & there was only two pillows for the children bed settee. My overall experience was ok, the bar is nice and the food in the bar was pretty good but the rooms were on the average side. Bathroom decor was quite dated and services in room were average, nothing special. The hotel is at the lower end of 4 star in London, in my view. I like the way your customer service and reception team entertain the guess. So friendly and hopeful. They only thing is the breakfast menu, maybe should change after 2 or 3 days, can't having the same menu after staying for more then 5 days. Thank you. We stayed the one night, to attend the Boyz2Men concert which was a short walk away from the hotel. I mentioned whilst booking that it was our anniversary and we were pleasantly welcomed with a bottle of prosecco and chocolates in our room. Little extra touches like that go a long way and I would definitely stay here again in the future. Many thanks for a pleasurable stay! Another very pleasant stay the staff were very friendly and helpful as usual and a very nice dinner in the restaurant all adds up to very nice weekend. Reasonable value for money. Plumbing needs some work. Happy. Hotel is of decent quality for price but the plumbing needs attention. The shower temperature does not stay constant whilst in use varying from suitable to very hot in just a few seconds. This was at 5 o'clock in the afternoon. I stayed here for a birthday weekend away with family and this was close to the lyric Hammersmith hotel which was a 5 minute walk so brilliantly central. The room was very clean and all amenities were excellent including tea and coffee making facilities. The only issue we had was that the remote for the tv did not work - possibly a technical issue or broken remote? Otherwise the stay was perfect and we had no complaints at all. The breakfast was absolutely amazing and very hot and good variety of foods to choose from. Overall, very impressed and will be coming back again! It was a very nice experience, the room was very clean and the gym was really confortable. The bar was great and staff very nice. I strongly recommend it. Great staff and well situated hotel. From checking in with Jose and to checking out the next morning all of the staff were extremely friendly, courteous and professional. We checked in with friends to see a show at the Hammersmith Apollo and the hotel is ideally situated. The rooms are spacious and very clean and we had great views across London. We would certainly stay again when going to a show and highly recommend this hotel. Great location for the tube and the Hammersmith Apollo. Reception Staff are very welcoming and efficient. We were given an upgrade on arrival and the executive rooms are great. Bar staff are extremely pleasant, but customers can be overlooked for attention when the bar is busy, which can be frustrating. Overall highly recommended.